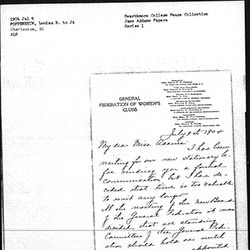 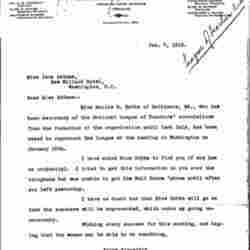 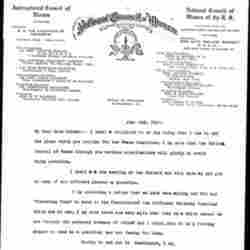 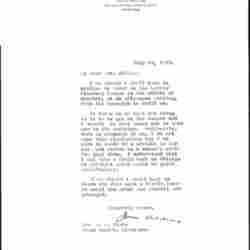 Poppenheim tells Addams that the General Federation of Women's Clubs requests that committee chairs maintain their offices until October first, when new committees are set up. 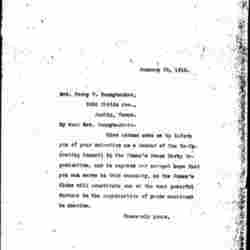 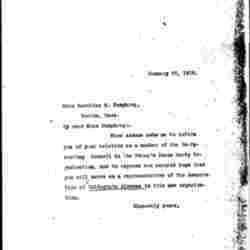 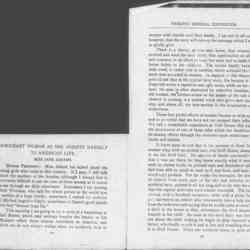 Gannett writes Addams to praise her book and entice her to attend the National Women's Suffrage Association meeting in February. 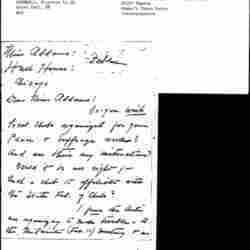 Addams accepts Perkins' invitation to speak to her club after Christmas. 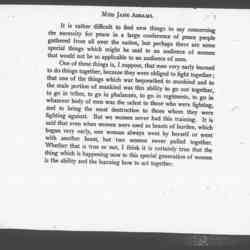 Addams argues that it is time for women to work in groups and advocate for causes that are important to them, like peace. 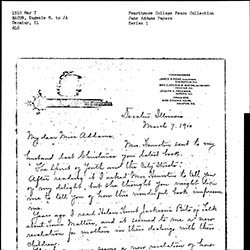 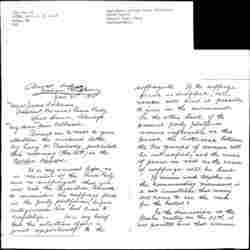 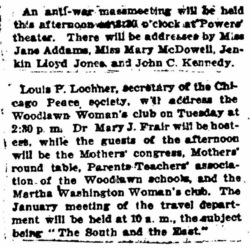 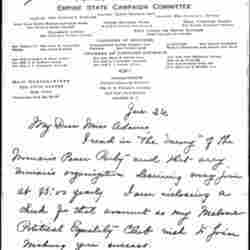 Addams gave this address at the Second National Peace Congress in Chicago on April 27, 1909. 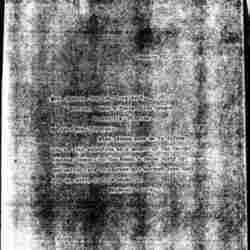 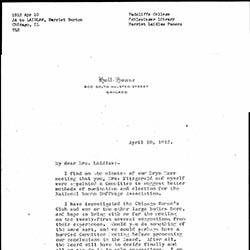 This version was published in the proceedings. 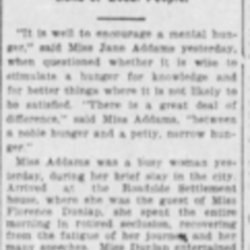 Bacon praises Addams' book The Spirit of Youth and the City Streets and writes about the progressive activities in which the women of her town are engaged. 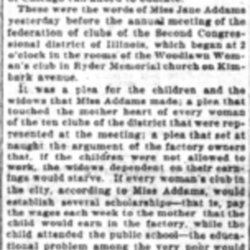 The Texas Federation of Women's Clubs seeks Addams' advice in the development of a state-wide survey it is planning. 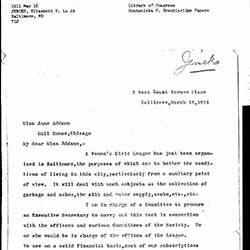 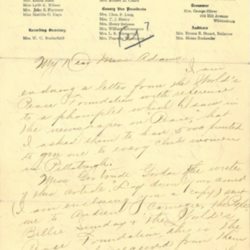 Addams asks Laidlaw to bring to the next meeting ideas for improving the nomination and election process for the National Woman Suffrage Association. 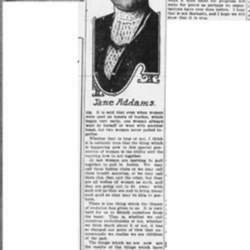 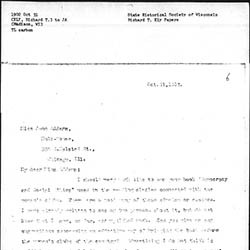 Addams declines Blake's invitation to speak at the Ladies' Literary League, noting that she prefers during a suffrage campaign to speak to audiences that include men, who will be in position to vote for woman's suffrage. 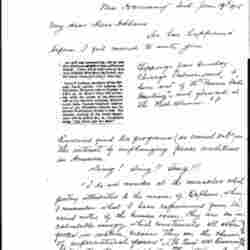 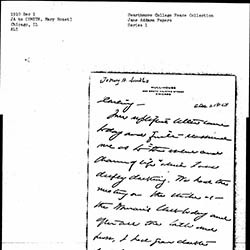 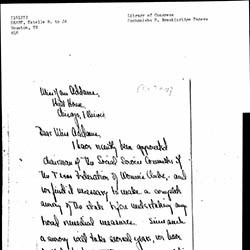 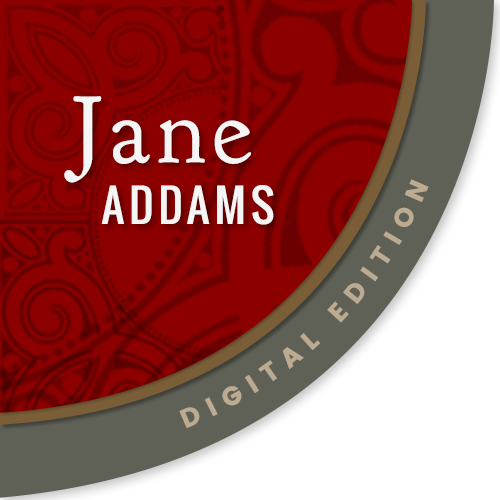 Thomas asks Johnson to collect as much money as possible for the Woman's Journal and sends copies of the letter to Jane Addams and Sophonisba Breckinridge. 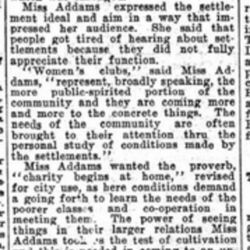 A portion of Addams' speech from the Second Annual Peace Conference on May 4, 1909 about what women have done that have earned them suffrage. 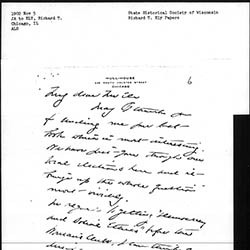 Bramhall discusses the activities of the local women's clubs with suffrage and peace in St. Paul. 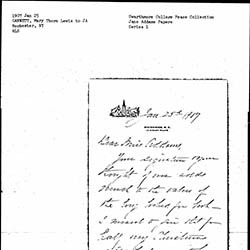 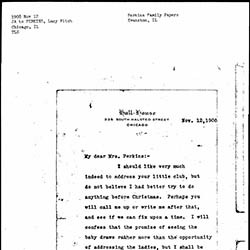 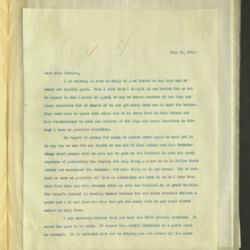 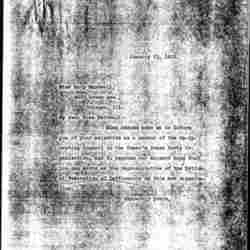 Ford encloses a number of clippings related to a Peace Song Service held two days prior.